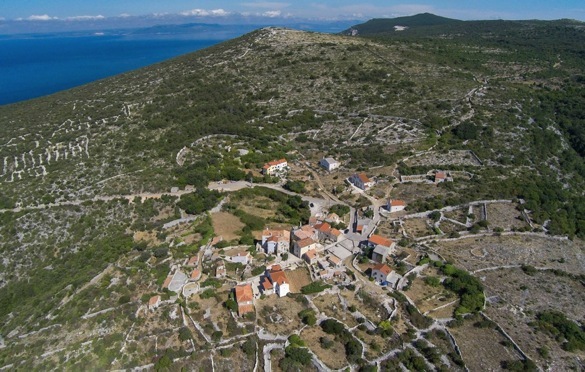 In July 2018 CETIP and Institute of Forest Ecology SAS undertaken field research of SIMRA project to ancient isolated rural settlement VIDOVICI in Adriatic Island CRES. After turbulent times over the past 5 centuries and as the response to global crises of early 20s, in particular de-population and land degradation Vidovici area is facing reconfiguration of community practices. Today this charming village located on the top of the hill with spectacular view around the Adriatic coast and in the neighbourhood of UNESCO Word heritage site is witnessing transition to sustainable rural life. Socio-ecological resilience and co-evolution of rural and modern life is refreshing local community and providing well-being to old and new members. Can Vidovici serve as model for transformation of other marginalized areas in isolated islands?